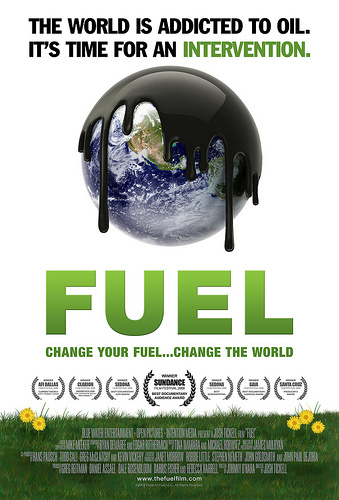 Winner of the 2008 Sundance Audience award for best Documentary, Eleven years in the making, FUEL is the in-depth personal journey of filmmaker and eco-evangelist Josh Tickell, who takes us on a hip, fast-paced road trip into America’s dependence on foreign oil. Combining a history lesson of the US auto and petroleum industries and interviews with a wide range of policy makers, educators, and activists such as Woody Harrelson, Sheryl Crow, Neil Young and Willie Nelson. 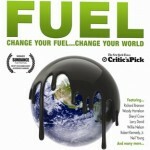 Animated by powerful graphics, FUEL looks into our future offering hope via a wide-range of renewable energy and bio-fuels. Winner of the Sundance Audience Award. The events of Sept. 11 and Hurricane Katrina factor in both visually and thematically, providing provocative anchors for the movie’s indictment of what Tickell believes is the Big Oil-cozy, ecologically indifferent Bush administration. Johnny O’Hara’s WGA Award-nominated script doesn’t dwell on muckraking, however; it’s more focused on broadly inspiring viewers than preaching to the converted. Interviews with a wide range of environmentalists, policy makers and educators, along with such “green” celebrities as Woody Harrelson, Sheryl Crow and Larry Hagman offer serious fuel for thought – as well as for action. Smartly animated interstitials, memorable archival material and a lively soundtrack round out the fast-paced proceedings.